It is important to take the necessary time to develop an effective plan several months before the storm season begins and before work begins onsite. 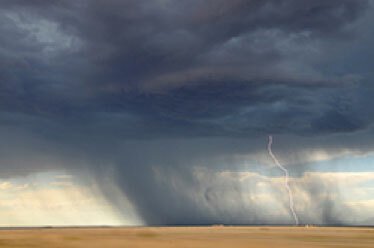 Contractors and builders lose millions every year during storm season due to a lack of preparedness. A plan can be executed in just a couple of hours, and the investment is very small. When comparing the invested amount to the possible losses, it is easier for any contractor to get started with making a plan. The following checklist should be completed far before the start of the storm season. Ensure daily Housekeeping and Organization of the site. Take photos of the site daily to record project progress before a storm might hit. Ensure current tasks/jobs are completed before new are assigned. Complete regular maintenance for electrical and mechanical equipment. Maintain an adequate number of sandbags or water detention devices. Secure all staging areas and trailers one month before the storm season begins. Small items that could be blown or washed away should be stored in buildings. Include subcontractors’ supplies, property and personnel in the plan. Ensure all electronic devices have battery power supplies. Give the emergency power generator system a checkup and tune-up. Check all of the batteries in emergency exit signals and emergency lights. Stock offices with emergency kits, flashlights, fresh water and other safety gear. Provide enough bottled water to last all site workers at least five days. Make sure there are always enough office supplies to last several days. Keep important documents in a safe place where water cannot damage them. Educate key workers about what steps they must take if there is an oil spill. Provide employees with phone numbers for all state and local emergency agencies. Give all workers specific assignments to help execute the plan. Develop a system to inform workers about when to come back to the site. Carefully review the building insurance policy for storm damage details. Find out how many extension days the contract allows for weather interruptions. Post the completed plan in a location where it is easy for all workers to see. After the preparedness plan is in place, it is important to develop a plan of action. Workers should understand the difference between the two plans, and they should know that the action plan is only implemented when a severe storm is imminent. Employees must know where to congregate and where to seek shelter. The action plan should be communicated to each employee before work begins at the site and there should be periodic “emergency drills” to ensure proper understanding. Personnel must assess and clean the site to remove debris or hazardous objects than can become airborne and cause further damage. Dismount and secure all scaffolding. To prevent damage from sand accumulation, protect underground drains and pipes. If there are scheduled deliveries, postpone them for at least two days. Disable all of the power lines, and remove the temporary connections to electrical equipment. Any hazardous or contaminating materials should be covered and secured properly. Secure and cover every window or glass feature with storm shutters or plywood. If time allows, booms should be laid down, or the load line can be hooked to a low point. On Cranes, the parking break should be released and left in free slew when high winds are expected. If dumpsters cannot be removed from the site, cover and secure them. If there are any open excavations, close them to prevent water from accumulating. Disassemble every temporary structure or fence that might be swept up by the wind. Make sure all catch basins and storm water inlets are free of debris. Designate crews for the shifts, relief, cleaning and standby.